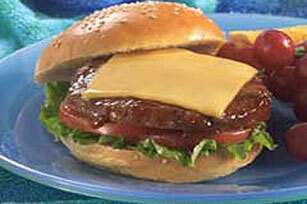 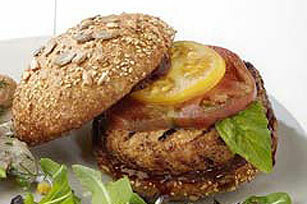 Turkey burger recipes are as varied as regular beef burger recipes! 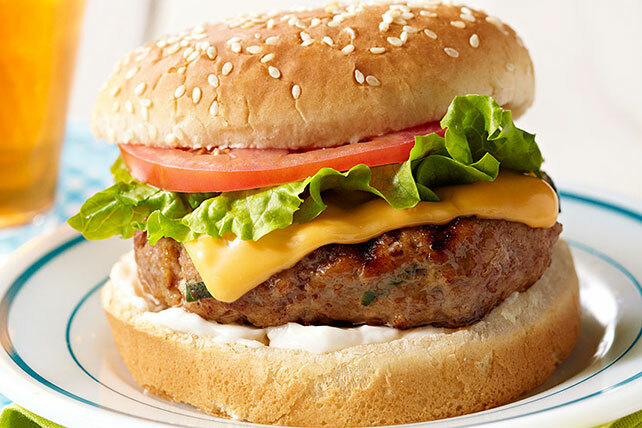 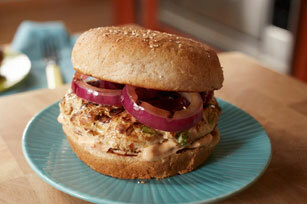 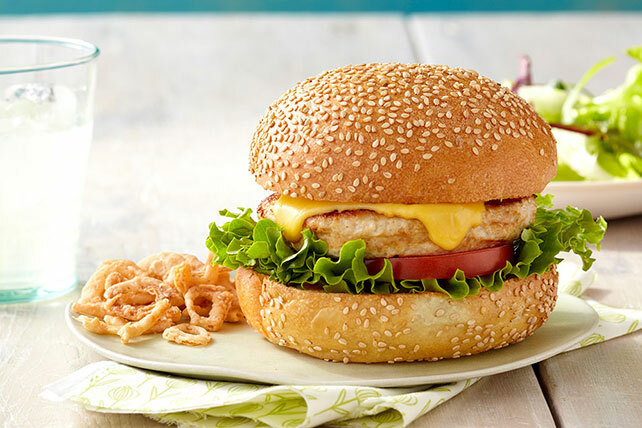 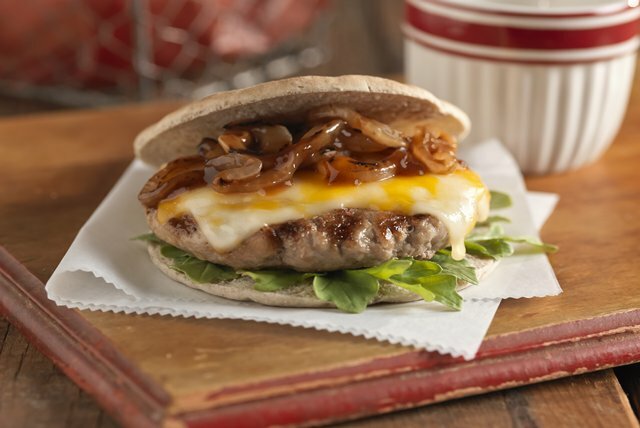 Try out any one of our turkey burger recipes for a deliciously moist grilled sandwich. 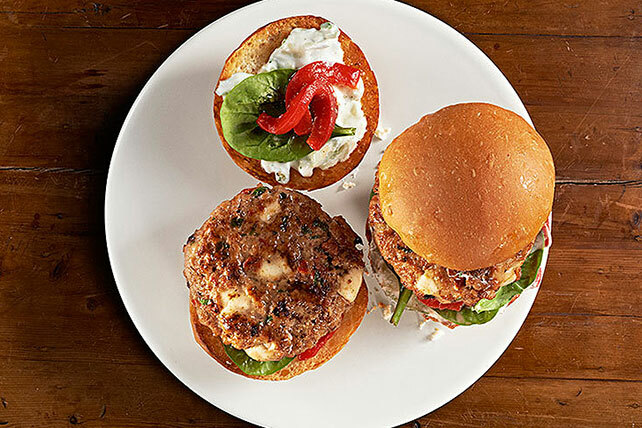 Top them with fajita veggie, mushrooms or even just cheese. 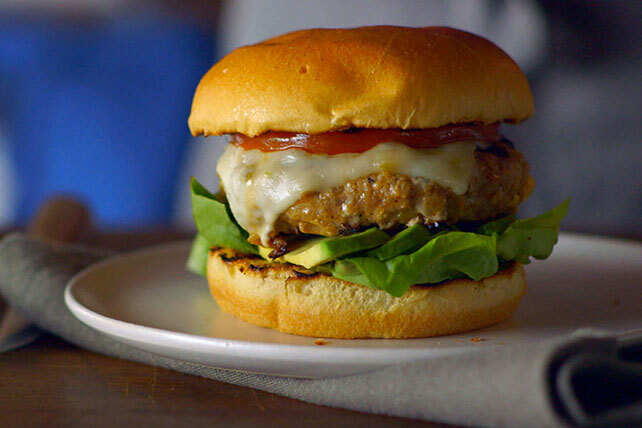 Once you cook one of these awesome recipes, no one will be asking, "Where's the beef?" 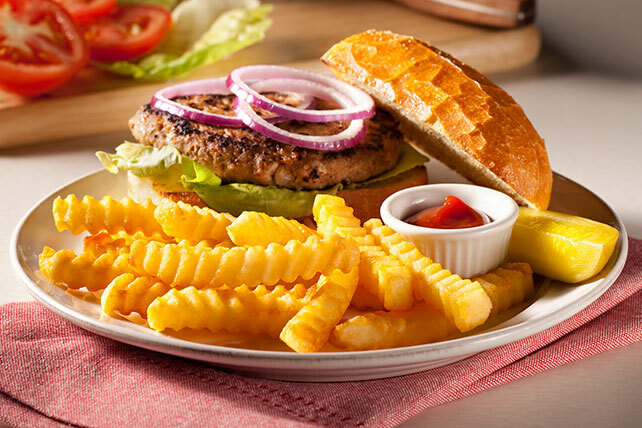 Accompany these turkey burger recipes with a delicious side dish, like our Zesty Home Fries or a Super Broccoli Side Salad!